Highly Qualified Medical Professionals: Our team of medical professionals include, the Heart Specialist Doctors in Mumbai who are highly qualified, committed and dedicated. World Class Medical Facilities: Our network of world class facilities includes the Best Heart Hospitals in Mumbai, India has state of the art infrastructure that are well equipped with the advanced technology and latest instruments. Affordable Cost: We provide low cost Cardiac surgery in Mumbai from the top cardiologist in Mumbai, that is well within your budget. Safety Results: We ensure safe results for cardiac surgery in Mumbai, India with higher success rates. Additional Services: We help with the arrangement of your entire tour by fixing your appointment with top cardiologists in Mumbai, quotation for cardiac surgery Mumbai, India, personal airport pick-up and hotel accommodation, optional sightseeing city. 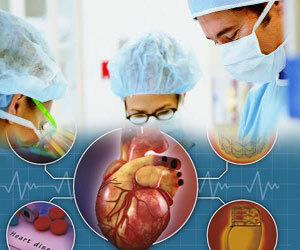 Interventional Cardiology is a specialty which uses imaging techniques and strategies for the diagnosis of the diseases of the heart and blood vessel. These novel, minimally invasive, non-surgical procedures make use of mechanical treatments for the diseases of the heart and blood vessels. These procedures are mostly performed under local anesthesia, have a considerably short hospitalization and recovery period with minimal post-operative pain and discomfort. Interventional Cardiology includes a number of procedures that can be performed to the heart by means of inserting a 'catheter' either in your heart or in one of your blood vessels of the groin, neck or forearm. Why to Opt for Cardiac Surgery in Mumbai, India? India is capitalizing on its highly trained heart specialist doctors in Mumbai offering the cost effective cardiac surgery in Mumbai, that appeal to the flocking medical tourists from abroad. The cardiac surgeons in Mumbai have education, certifications, training and experience from the prestigious international medical schools and institutions. Considered as a culturally rich place, Mumbai has many healthy spots where you could recuperate in peace or to go on a sight-seeing post recovery. Often, most patients from abroad combine their cardiac surgery in Mumbai. You can go for a trip to the Hanging Gardens, Gateway of India, Marine Drive, Chowpatty Beach, Bandra Worli Sea Link, etc. Tour2India4Health facilitates excellent services and facilities for cardiac surgery in Mumbai India for the patients from abroad.